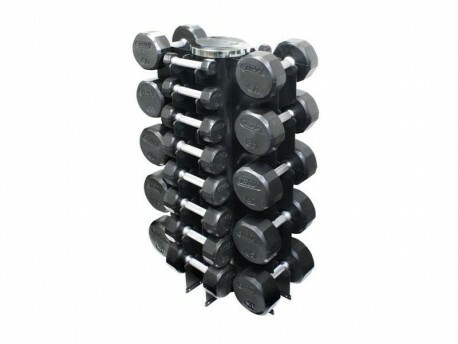 Includes the rack and 3-50lb pairs of Troy Premium Rubber Coated Dumbbells. Sizes 3lb, 5lb, 8lb, 12lb, and 15lb to 50lb in 5lb increments. 13 pairs total.